The Advanced Certificate Trainer is the perfect companion for Cambridge Advanced Certificate exam preparation. With Answers and downloadable Audio! 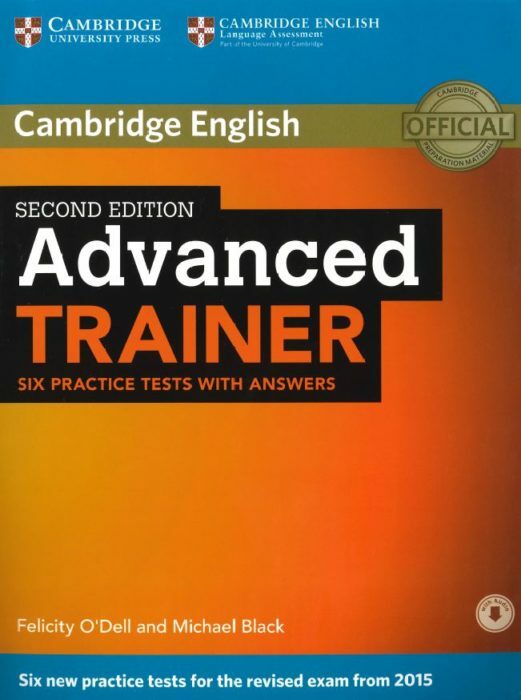 This CAE Trainer includes six practice tests with answers and teacher’s notes. This book can be used by teachers in order to prepare their students for the exam but also by candidates who wish to prepare on their own and use it as a self-study book. The first two tests are fully guided with step-by-step advice on how to tackle each paper. Extra practice activities are informed by a bank of real candidate’s exam papers and focus on areas where students typically need most help. This edition also includes teacher’s notes with ideas for setting up and extending tasks in the classroom. The ‘with answers’ version features a key with clear explanations, including model answers for the Writing paper. This Cambridge English: First for Schools (FCE S) brochure was designed for candidates to get a genereal idea of the exam. 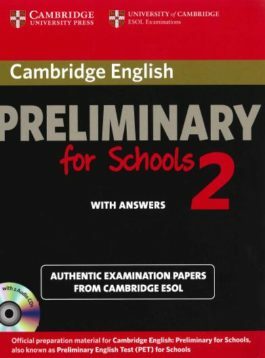 These Authentic Examination Papers provide candidates with an opportunity to familiarise themselves with the content and format of the Cambridge English: Preliminary for Schools (PET S) exam. 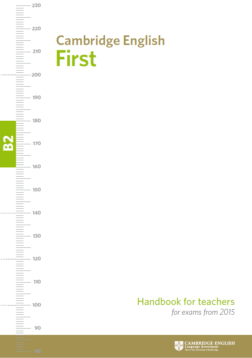 This Handbook for teachers gives an overview of the Cambridge English: First (FCE) exam.